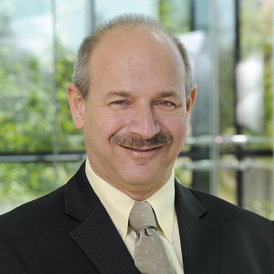 Regental Professor; Raymond and Ellen Willie Distinguished Chair in Cancer Research, in Honor of Laverne and Raymond Willie, Sr.
A pioneer in the study of innate immunity, Bruce Beutler isolated several key cytokines early in his career (TNFα, MIP1α, MIP1β, and others). He went on to discover the elusive sensing mechanism by which host cells recognize microbial invaders, including bacteria, protozoa, fungi, and viruses. Moreover, in work spanning nearly four decades, he identified proteins central to many other biological processes, notably neurobehavioral function, metabolism, and development. His discoveries have led to therapies for crippling and life-shortening diseases that affect millions of people. His work in the innate immunity field was rewarded with a Nobel Prize in 2011, shared with Jules Hoffmann and Ralph Steinman. Beutler received his undergraduate degree from the University of California at San Diego in 1976, and his MD degree from the University of Chicago in 1981. After two years of residency at the University of Texas Southwestern Medical Center, he became a postdoctoral fellow and then an Assistant Professor at the Rockefeller University (1983-1986). There, Beutler was the first to isolate mouse tumor necrosis factor (TNF). In 1986, Dr. Beutler returned to UT Southwestern as an HHMI investigator. There, together with postdoctoral associate Karsten Peppel and graduate student David Crawford, he invented and patented a recombinant inhibitor of TNF, now marketed as Enbrel (Etanercept). To this day it remains widely used in the treatment of rheumatoid arthritis and other inflammatory diseases. He transferred to the Scripps Research Institute in La Jolla, California, in 2000, where he served as a professor in the department of immunology and, beginning in 2007, as chairman of the department of genetics. In 2011 he announced his return to the Southwestern Medical Center to lead the Center for the Genetics of Host Defense (CGHD). Beutler is currently a Regental Professor and Director of the Center for Genetics of Host Defense at the University of Texas Southwestern Medical Center. He holds the Raymond and Ellen Willie Distinguished Chair in Cancer Research in honor of Laverne and Raymond Willie, Sr. Before he received the Nobel Prize, his work was recognized by the Shaw Prize (2011), the Albany Medical Center Prize in Medicine and Biomedical Research (2009), election to the National Academy of Sciences and Institute of Medicine (2008), the Frederik B. Bang Award (2008), the Balzan Prize (2007), the Gran Prix Charles-Leopold-Mayer (2006), the William B. Coley Award (2005), the Robert-Koch-Prize (2004), and other honors. He is a member of multiple foreign academies of science, including EMBO, Leopoldina, and the Academy of Athens.